As many of you may know, I am very vocal about my satisfaction with my career. In fact, I have no plans on leaving my 9-5 any time soon! This may be shocking, especially because it seems that entrepreneurship is the way of life right now. In my opinion, we were all put on this earth for a specific purpose. In addition to us all having a purpose in life, we’re allowed to wear many different hats in our lives and try different things. I, for one, live by this. My career challenges me, motivates me, and allows me to live my life in a certain way while my passion is my creative outlet, it’s in line with my purpose, and it allows me to help others. Who says that I can’t do both and enjoy it? I’m sure some of you are thinking, “You make that all sound so easy Monique.” If I’m being honest, it’s not! Balancing my passion and my career can feel overwhelming at times. Honestly, it took me a while to really find my flow. A happy medium that allows me to do everything without feeling like I want to pull my hair out! In my post, The Reason Behind My Social Media Hiatus, I revealed that I experienced slight burnout in 2018. So, trust me when I say that things weren’t always pretty. It took a lot of trial and error to get to where I am today. 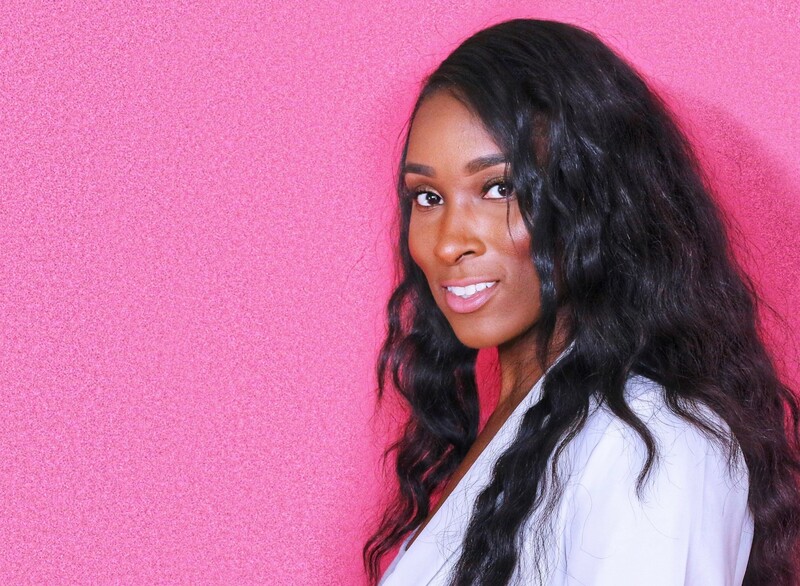 After experiencing burnout, I took a break from my side hustle and just focused on my career. And I won’t lie, it felt nice for a while, but then I started to feel incomplete. When I decided to make my return, I vowed to do things differently. After making these adjustments, I’m so much happier and fulfilled! If you’ve ever have doubts about your ability to balance your career and your side hustle… just believe in yourself. Where there is a will, there is a way! Get organized – Organization is key! It’s good to have something to refer to that keeps you in line with your goals. I don’t go anywhere without my planner! I make sure to plan my weeks, and months in advance. Doing so allows me to see when I have free time between work, the gym, and my social life to write, blog, or build my brand. Set a schedule– Scheduling is great and it’s super helpful when you’re trying to balance multiple things. I often like having a schedule in place because I feel that it gives more purpose to my days and time. If you’re spending eight 8 hours of your day at work, maybe schedule an hour for the gym, and hour for dinner/home duties, and two hours for your hustle. Optimize your free time – Why not spend the time that you’re watching television to multi-task? I do this daily! Take the train to work? Do you have a long lunch break at work? These are perfect times to knock some things off your to do list if you can! Listen to your body – Another important point especially since no one wants to experience burn-out. If you feel exhausted or uninspired it’s perfectly ok to take a break. Do you have tips that you want to share? Leave them in the comments! I’m always open to suggestions. Have you read my book series yet? Check it out here. Babe, I get where you coming with the 9-5 thing. I haven’t worked in a office for 3 years and now I got a job in office space. Not my ideal job but it pays the bills and allows me to enjoy my lifestyle. But my ultimate goal is to have a steady income doing what my heart desires. Thank you so much for sharing this. Staying organized is very important. Thank you so much for stopping by! So glad you were able to find a situation that works for you. At the end of the day, that’s all that matters!